Pricey, but worth every cent. When a “premium accessories maker” known for its battery packs and dongles sets out to make wireless headphones, you might fear for your ears. But the only thing in danger from Moshi’s Avanti Air Bluetooth headphones is your wallet. With a price tag of $299.95, these headphones certainly fit the “premium” bill. Happily, they’re beautifully designed and will please your ears as well as your eyes. Avanti Air headphones look pretty damn stylish. 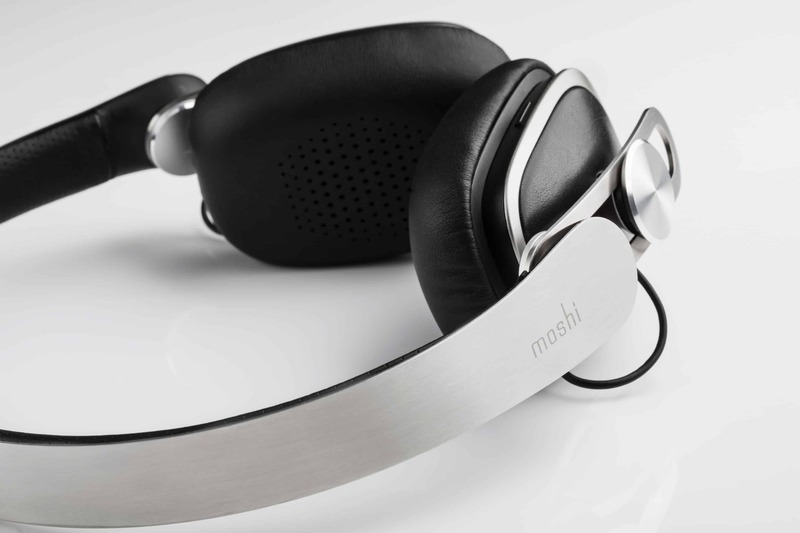 Previous Moshi headphones impressed us with their fine design and excellent build quality. Nothing has changed in that regard. I really like the look and feel of the Avanti Air headphones. Their design is both minimalist and a bit retro in a way that looks somehow more adult than a lot of other over-the-ear headphones. The earpieces are nicely cushioned and they’re comfortable to wear. 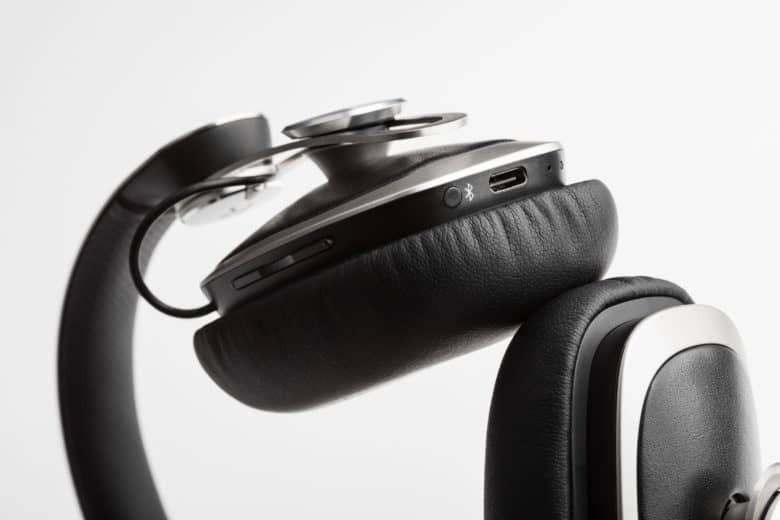 The headphones feature tiny buttons that allow you to change the volume, pause or skip tracks, and activate Siri. These are purposely unobtrusive so as to not sully the look. 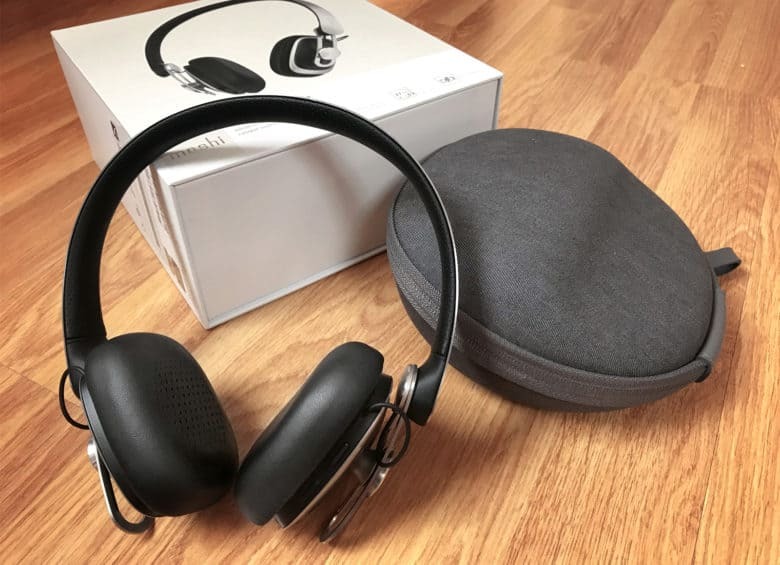 In fact, Moshi’s emphasis on design is evident from the moment you pick up the impressively high-quality box that Avanti Air headphones come in. Reminiscent of something Apple would craft, it packs a built-in magnet that delivers a satisfying snap when you shut it. It’s a tiny detail, but it shows how fully Moshi’s designers thought through the experience. Inside the box you’ll find the headphones; a manual; a molded, clamshell-style zip-up case; and a USB-C-to-USB charging cable. Pairing the headphones with your Apple device is incredibly straightforward. Turning them on is a matter of holding down a power button for second and waiting for a confirmation noise to assure you that Bluetooth pairing has taken place. Bluetooth range is in the vicinity of 30 feet. The headphones are easy to adjust. Maybe too easy. If I have one criticism of the Avanti Air headphone design, it’s of the adjustable slide that allows you to adjust the earpieces for your head size. The design of these is simple and intuitive: the earpieces simply slide up and down a rail to get to your desired position. That’s great in theory, but on my pair, the mechanism didn’t prove stable enough to hold them in this position for long. Things were generally fine when I used the headphones while stationary, such as sitting at a desk and typing. However, when I wore them out and about, they began slipping with the impact of my steps. As a result, I had to stop and readjust them every 15 minutes or else they became too loose. Given the ease with which this can be done, it’s not that big of a deal, but it’s not ideal. How do Moshi Avanti Air headphones sound? You get impressive listening time from a single charge. Of course, design is all well and good, but sound quality is what really determines whether a pair of headphones deserve to swaddle your ears. On that front, the Avanti Air headphones proved pleasantly surprising. Moshi promises “the very best in wireless audio technology” and, by and large, I’d say the company delivers on that promise. The rich sound comes from “XR40 extreme resolution drivers,” and offer a high-quality listening experience whether you’re using them for Audible books, podcasts or a variety of music genres. While I’m not an audio pro, I listen to a lot of music, and these headphones often made me aware of subtleties I simply don’t notice with the earbuds I usually use. It’s hard to switch back to even good earbuds after testing the Avanti Air headphones. You can also make and receive phone calls with the Moshi headphones. Again, sound and microphone quality are such that I had no complaints. Battery life is impressive, too. You get more than 27 hours of playtime from a 520 mAh battery, and charging from empty will take you 2.5 hours. If that’s too long, a 15-minute charge will give you four hours of listening time. The final thing worth mentioning is the Moshi Bluetooth Audio app, which fine-tunes your listening experience (and shows your remaining battery level). The app lets you fiddle with custom equalizer settings, set an auto power-off, and — if you’re so inclined — change the headset’s name. It also enables you to pair up different Moshi Bluetooth headphones so you can listen to the same audio source on multiple headphones. That’s useful if you and a partner want to listen to the same album or movie while traveling together. Should you buy Moshi headphones? 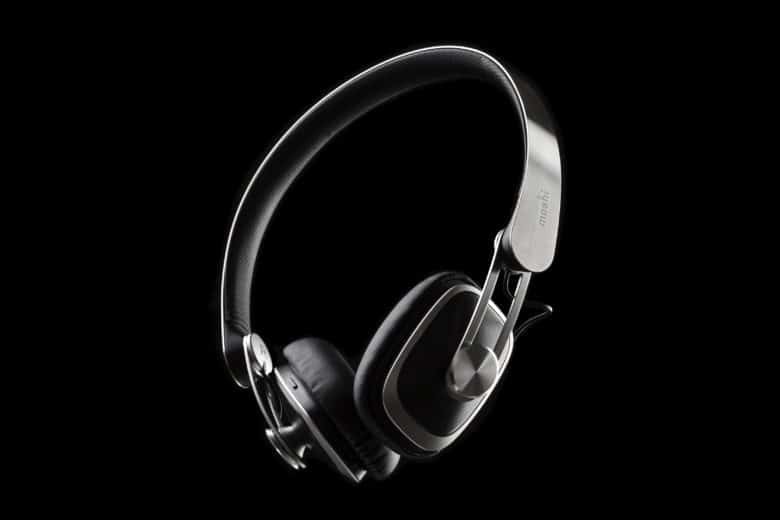 I came away really impressed by Moshi’s Avanti Air headphones. The sound quality is excellent, battery life is good, and the design is swanky. Features like voice calls aren’t something I use too much with headphones, but the capability is there if you need it. No, these headphones are not perfect. The sliding arms on the side are annoyingly loose, and noise-canceling tech would be appreciated in a future iteration. Nonetheless, I’d have absolutely no qualms about recommending these exceedingly stylish headphones. Moshi provided Cult of Mac with a review unit for this article. See our reviews policy, and check out more stuff we recommend.